and have gone to their rest in the hope of rising again. through the mercy of God rest in peace. Amen. (Source: Catechism of the Catholic Church. 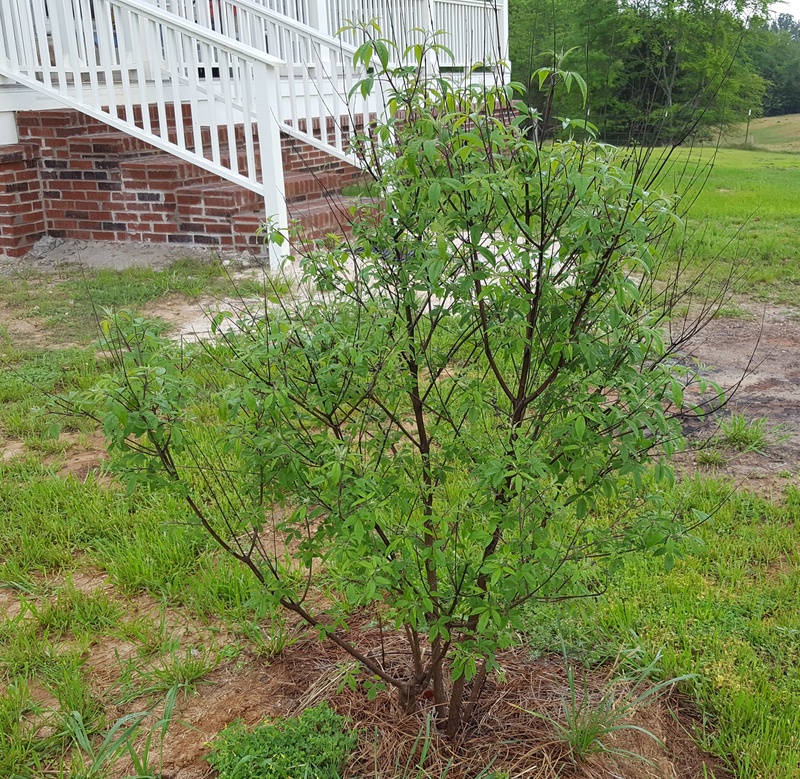 In the fall of 2015 I planted two very small trees in my yard – a red crepe myrtle and a vitex or chaste tree – and was so excited for what would be in the spring. Shortly after, the cows got into my yard during the night and chewed on the chaste tree and trampled it until there was only a nub remaining. I was so upset, but then the next spring, I could see life in the little nub. Sprouts of new growth appeared, and that summer there were blooms and bees. It is now the spring of 2017, and I checked on the chaste tree this morning. It is healthy and continues to grow. I know it is going to be a beautiful tree. 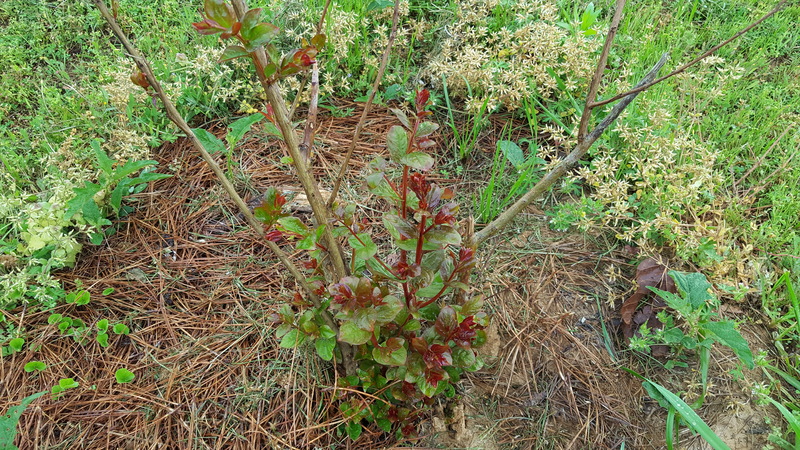 The red crepe myrtle also was healthy and growing the spring of 2016. Then construction began late that year on my new house. 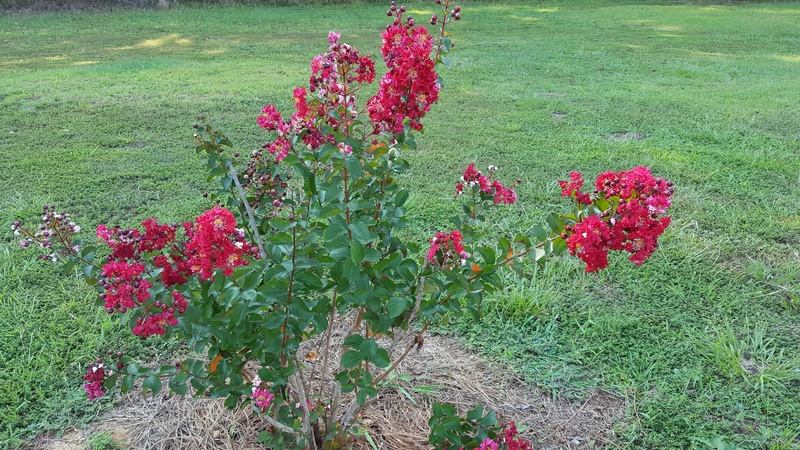 Towards the end of construction in 2017, a big truck backed into my yard for a delivery and ran over the red crepe myrtle, ripping off tender little limbs. I checked on it this morning, and the story is the same as the chaste tree. There is new life, and this tree also will be fine, perhaps better than before. Jesus reminds me this morning that we too must be rooted and grounded in God’s love, receiving his love and returning love and adoration to him. 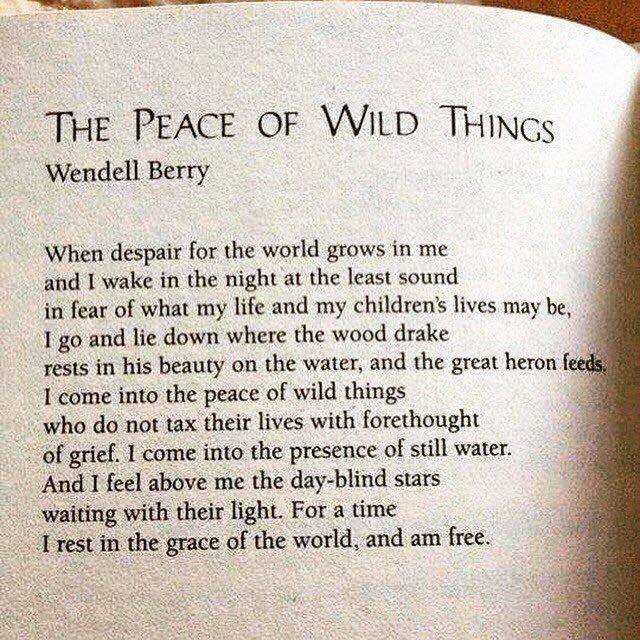 If we would but do this then, no matter what sorrows and tragedies we may experience, this love of receiving and returning will heal and restore us to new life. We are able to overcome all things in full knowledge that God is in us and we are in Him. Also, acts of mercy will flow from our hearts spontaneously. As a Franciscan, I believe it is so important to BE before we try to DO. Now to him who is able to accomplish far more than all we ask or imagine, by the power at work within us, to him be glory in the church and in Christ Jesus to all generations, forever and ever. Amen. Ephesians 3:14-21. God has created me to do Him some definite service; He has committed some work to me which He has not committed to another. I have my mission—I never may know it in this life, but I shall be told it in the next. Somehow I am necessary for His purposes, as necessary in my place as an Archangel in his—if, indeed, I fail, He can raise another, as He could make the stones children of Abraham. Yet I have a part in this great work; I am a link in a chain, a bond of connection between persons. He has not created me for naught. I shall do good, I shall do His work; I shall be an angel of peace, a preacher of truth in my own place, while not intending it, if I do but keep His commandments and serve Him in my calling. Therefore I will trust Him. Whatever, wherever I am, I can never be thrown away. If I am in sickness, my sickness may serve Him; in perplexity, my perplexity may serve Him; if I am in sorrow, my sorrow may serve Him. My sickness, or perplexity, or sorrow may be necessary causes of some great end, which is quite beyond us. He does nothing in vain; He may prolong my life, He may shorten it; He knows what He is about. He may take away my friends, He may throw me among strangers, He may make me feel desolate, make my spirits sink, hide the future from me—still He knows what He is about.